Converting PDF to Word or Word to PDF is a common task performed by both businesses and individuals on daily basis. Both PDF and Word formats are very popular and required for many different purposes and in many cases, a single document may require to be in both the formats. For example, you can convert PDF to Word to edit it with Microsoft Word tools and then convert it back to PDF. For such an important task, there are many converters available both online and offline. You can easily convert PDF to Word or vice versa without even paying anything as most of these tools are free. Although, many people prefer offline converters due to conversion speed and offline use, but in many situations online conversion does a better job. For quickly converting few PDF files, it is better to convert online instead of download a separate software. There are many other reasons as well, like access through any operating system, convert files on software installation restricted PCs (work PCs) or avoiding installing unknown software. 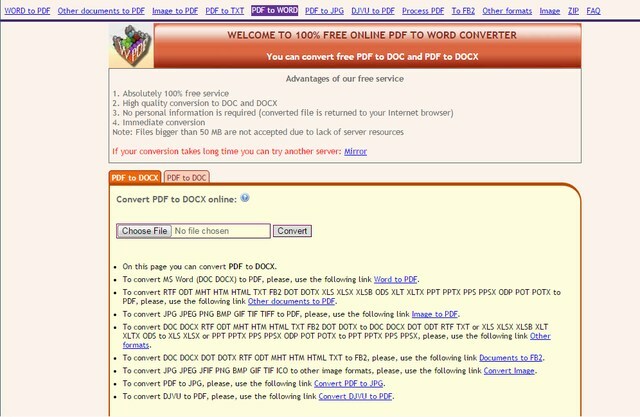 Also Read : How to Convert PDF to Word Document Online for Free ? Finding the right online PDF to Word converter can be a little difficult as there are so many to choose from. This is why we have created a list of top 11 best PDF to Word and Word to PDF converters that will surely help you find the right online converter. Its simplicity and fast conversion are one of its main plus points. All you have to do is upload the file and it will be automatically converted without pressing any buttons. The converted file can be downloaded as both the required format and in the HTML version. However, it doesn’t offer batch processing of files, so it might not be a reliable option if you have multiple files. Read: Electronic Signature in Word: How to Insert Digital Signature in Word? A great tool for online conversion with some additional features for ease. 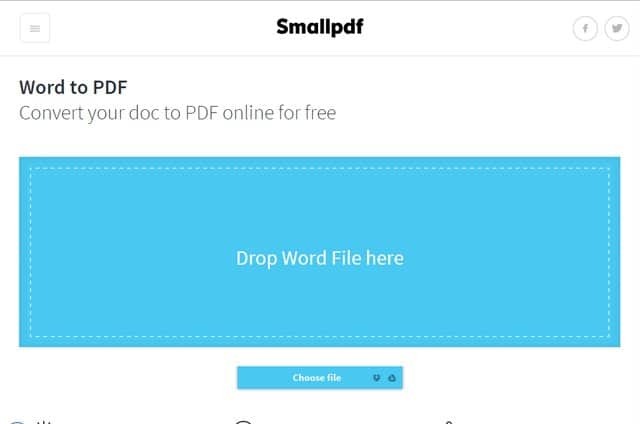 Small PDF will let you drag and drop the file in its interface to upload it or you can choose the file with the explorer window. It supports one file at a time and you can also upload and download files to/from Google Drive or Dropbox. Along with reliable conversion, it also has really good privacy to make sure your document content is safe. After the conversion, the document is only kept on their servers for 1 hour, it is permanently deleted afterwards. 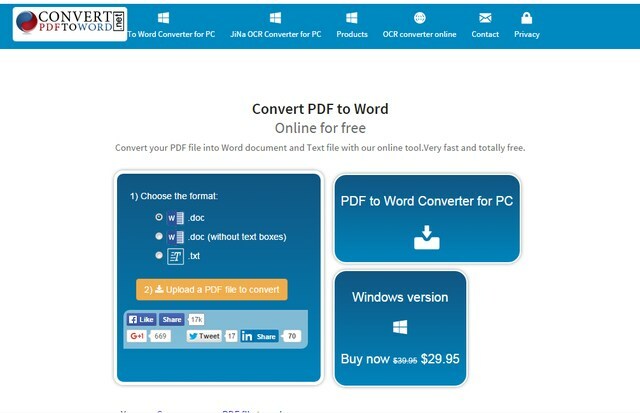 A fully featured online converter that offers many different types of conversions, including PDF to Word and Word to PDF for free. You can upload files from your PC or supported cloud storage and even through URL. It supports batch processing, so you may choose as many documents you like. The converted files can be sent to your email, cloud storage or directly downloaded to your PC. Furthermore, if you have more than one file, then you can also download all of them in a single ZIP format. Online2PDF is a tool dedicated to manipulating PDF files in many different ways including PDF format conversion. It offers a simple interface to convert multiple PDF files to Word or Word files to PDF easily. You can both manually upload files or drag-and-drop the files in the interface of the website. You can select up to 20 files at a time and they all together must not be exceed 100MB total file size. The maximum size of a single file is 50MB so make sure you adhere to these limitations. 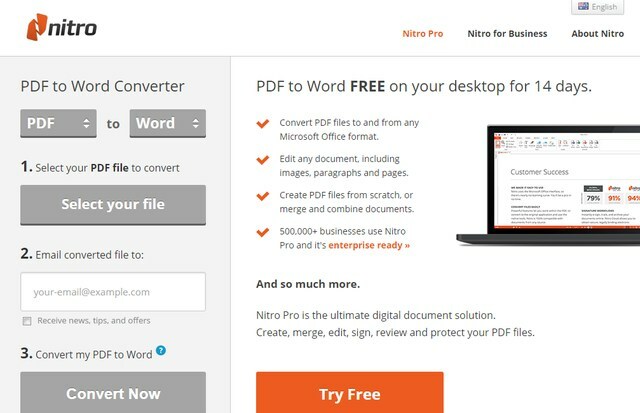 PDF to Word Converter comes from the renowned Nitro software company who are also responsible for the popular Nitro PDF editor. They offer simple conversion tool with least extra features. 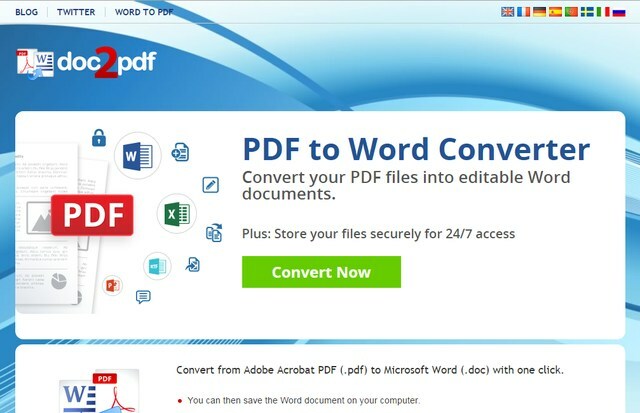 It will let you both convert PDF to Word and Word to PDF without any confusions. You are only allowed to upload one file at time using the manual explorer window. You will also have to provide your email address to receive the files directly to your email. docs.zone will let you convert both PDF to Word and Word to PDF with many advanced features. However, this free service is limited and to use it without any limits, you will have to opt for the paid subscription of $9.95/month. It can convert files in batch mode and offers fast and reliable conversion. It’s main feature is ability to choose different modes of conversion, including Exact, OCR and Flowing. Another paid service in our list with reliable features and fast conversion (for paid). Its free version has limitations on total number of files that can be converted and has a delayed conversion. However, if you are willing to pay $9/month, then you can use all the features without limitations. With the paid version, you will get unlimited conversions with batch processing. The files can be converted to both doc and docx formats and can be sent to your email as well. 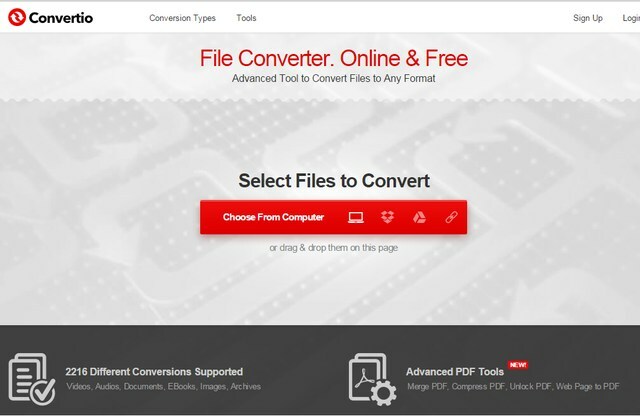 A completely free to use conversion tool with many side features apart from PDF to Word conversion. Just like other services it offers all the standard conversion features. You can upload files using the explorer window and are only allowed to upload one file at a time. The tool offers fast conversion and doesn’t messes with the format of the file. The file can be both downloaded from the website or sent to you via email. 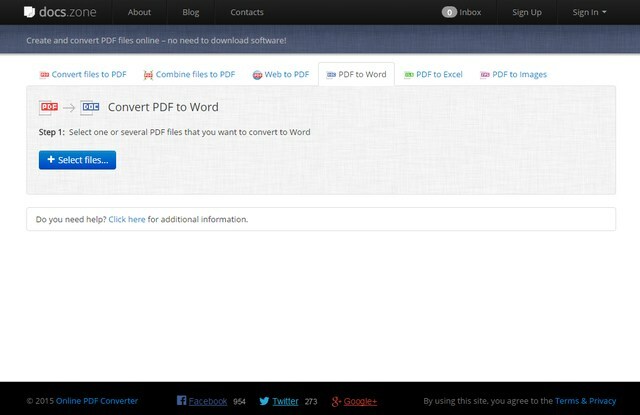 A reliable PDF to Word converter that will let you convert PDF files to .doc format and .doc format without text boxes. You can upload the file using the standard explorer window method and download it right on the website. They also have a paid desktop version if you are interested, which will offer many advanced features worth trying. 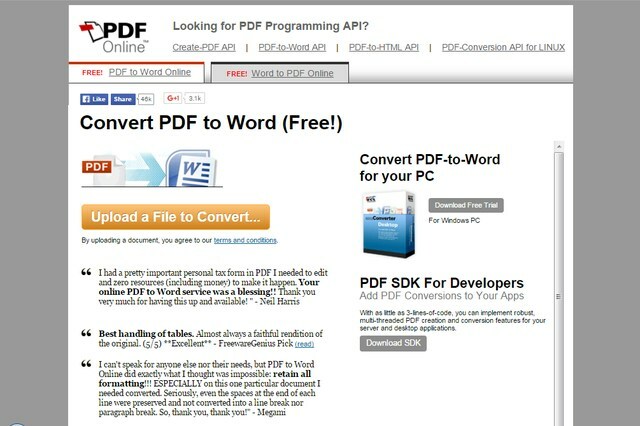 A simple to use free PDF to Word and Word to PDF converter with a very simple interface. All you have to do is add a file to convert and it will be converted without any need of pressing any buttons. It can convert complex PDF files and even the one that are password protected. The converted files can be downloaded from the main website. 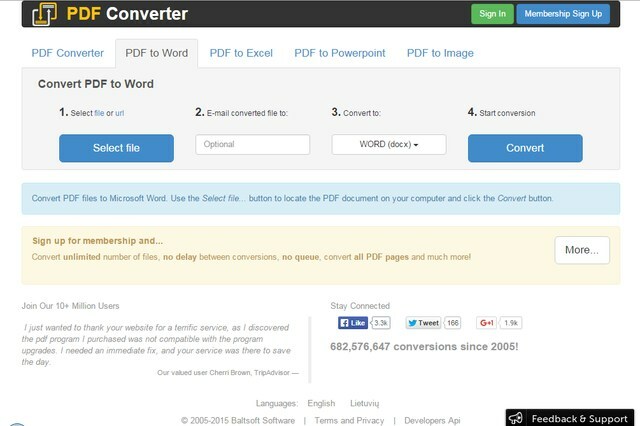 Another good free Word to PDF and PDF to Word converter that offers good features for free. It can convert PDF files to both Doc and Docx formats and the conversion quality is also quite fast without damaging the formatting. The maximum file size limit is 50MB due to lack of servers, but it should be able to cover most PDF files. The files can be uploaded using the explorer window and you can download the converted file right from the website. Most of the online PDF conversion services we have mentioned above are free and offers features that even better than the paid tools. 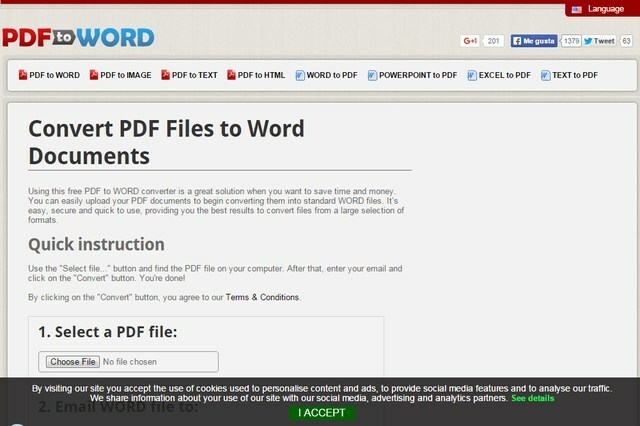 So our recommendation will be to use free tool for your online PDF to word conversion needs. Some tools also have a desktop version, if you like the online version you can also get desktop version for future conversions. If you are looking for a quick and simple solution, then PDF Online is a reliable tool. However, people looking for tons of features will like Convertio for sure.